From simple installations to design and preparation works including new openings, cladding and steel work. We offer a 24 hour service across North Essex and South Suffolk. As a minimum we will ensure your property is secured and aim to get your door back up and running as smoothly and quickly as we can. Large stock held for quick repairs. Regular maintenance is the best way to prevent mechanical failure with your door(s). It gives you peace of mind that your door(s) are safe to use and can also be a requirement of your insurances. Full service reports provided. © Copyright 2019 by Essex Industrial Doors Ltd. All rights reserved. 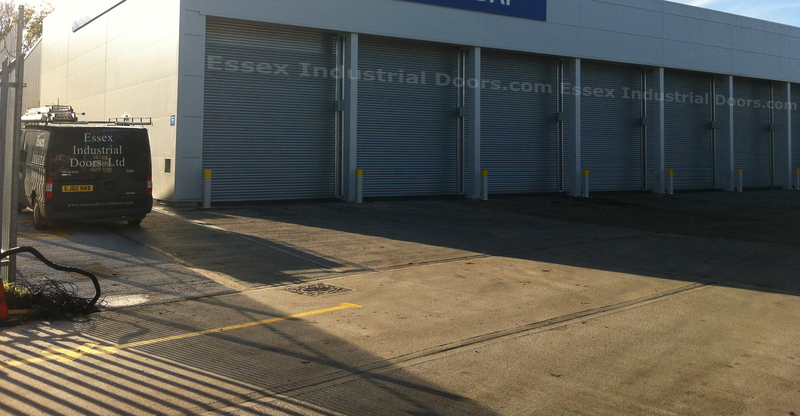 Essex Industrial Doors Ltd is a company registered in England and Wales - Company No. 04067051. Registered office: THE OLD POST OFFICE, 14-18 HERALDS WAY, SOUTH WOODHAM FERRERS, CHELMSFORD, ESSEX CM3 5TQ.